The 6.5mm Creedmoor (6.5 Creedmoor, 6.5CM, etc) has an interesting history and a popularity that has skyrocketed over the past five years. The cartridge was originally developed by a couple of Hornady engineers to be an off the shelf factory cartridge that could compete in long range shooting matches. Considering the initial thoughts and discussions about the cartridge started at the 2007 Camp Perry matches should give some indication to its competitive roots and future potential. The cartridge they used as the parent cartridge was a little known cartridge called the .30 TC which was designed by Hornady for Thompson-Center and their Icon rifles. The .30 TC itself was based on the .307 Winchester, not to be confused with the .308 Winchester, which was a short lived cartridge made for lever actions in the early 1980s. By taking the .30 TC and necking it down to a .264″ (6.5mm) bullet, they were able to get a long neck which allowed for the use of the longer and heavier 140 grain class 6.5mm bullets without those bullets sitting deep into the case. 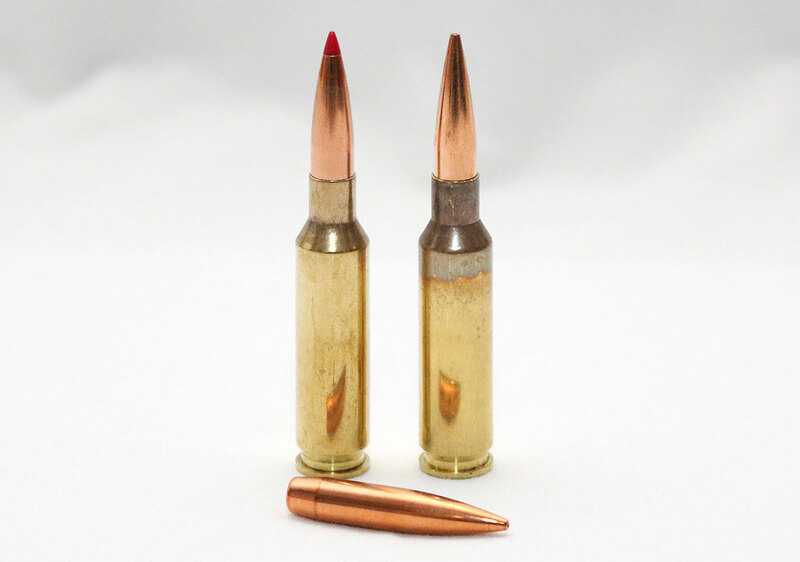 These heavy VLD and ELD 6.5mm bullets have very high ballistic coeffecients desirable for long range shooting. By using a long neck it allows for the 6.5 CM to achieve the same velocity with heavier bullets as the .260 Remington even though its case size is smaller than the .260. Be aware that the .260 can outperform the 6.5 CM with the lighter bullets for this same reason. The long neck of the 6.5 CM should also help with barrel life even with the slightly higher SAAMI spec pressures over the .260. The steeper 30 degree shoulder and longer neck, combined with the lack of a bullet hanging into the case area of the cartridge, has contributed to a cartridge with excellent inherent accuracy that rivals the .308 Win. All of these factors have allowed the 6.5 CM to take the competitive shooting world by storm. These same factors also allow the 6.5 CM to perform exceptionally well as a light recoiling sniper cartridge with very good long range capability that is superior to the .308 and rivals the .300 Win Mag while being chambered in smaller short action rifles. There are currently no military forces from around the world that have adopted the 6.5 CM, but the USMC is exploring the possibility as are some others. The .260, 6.5×47 Lapua, and 6.5 Creedmoor all have very similar capability but the 6.5 CM has now dwarfed the others in terms of popularity. The .260 was a cartridge that “could” have been very popular as a long range cartridge but Remington did not do the best job of marketing it as a long range cartridge and that has allowed the newer 6.5 CM with its design advantages to take over the lead spot of the short action 6.5mm cartridges. For the .260 all Remington had to do was take the wildcat 6.5-08 and put the Remington label on it and get it SAAMI approved. The 6.5 CM was actually engineered to be a long range cartridge from the beginning, and that is what has made is so successful. Look for that popularity to continue to grow, and for good reason. We hope to perform a 6.5 CM ammo comparison soon. Recommendation: The 6.5 Creedmoor will work very good for military and law enforcement applications, though there is still a limited variety of factory loads available that may be suitable, but that is rapidly changing. 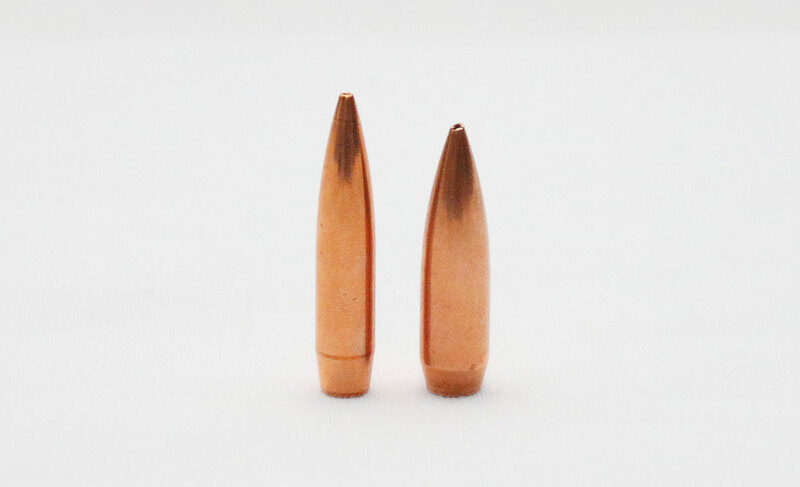 Penetration is a significant concern on the Law Enforcement side, as the sectional density of the 6.5 bullets can be very high which leads to deep penetration, so watch for over penetration if your agency selects this cartridge. Note: The Federal Berger Match ammunition with 130gr HPBT bullet was chosen as our preferred load for military applications. This load uses the Berger HPBT 130gr match bullet with a BC (G1) of .560 launched at 2875 fps. You may be asking why we selected this load instead of one of the loads from Hornady that uses the heavier ELD bullets. The main reason is because for military use the HPBT bullets have been approved for combat where as the polymer tipped bullets have not. The 140gr RDF HPBT load from Nosler and the Winchester Match 140 HPBT were other possible choices with their higher BC bullets, but they are launched slower and dropped more at 1000 yards. This Federal Berger Match load has ballistics that are very similar to the 300 Win Mag A191 190gr ammunition. We have also listed the Winchester Match 140gr HPBT load as it is a very good alternative. Note: For law enforcement use we are not restricted to HPBT bullets and in an effort to reduce over penetration, we will want to go with a lighter bullet, and one that is perhaps designed to expand quickly if a high level accuracy can be achieved. We have chosen the Hornady 120gr ELD Match launched at 2910 fps, which is probably a bit faster than we would like, but should promote rapid expansion. Hornady also loads their 143gr ELD-X which is an ELD match bullet that is designed to expand, but that long bullet will still penetrate very deeply even with good expansion. As our secondary load we selected Federal’s 120gr trophy copper which is loaded to a slower 2875 fps and with a bullet that is designed to expand. Unfortunately, it is not a match grade load, though still considered premium. Like usual, you will want to test ALL ammo for acceptable accuracy before adopting it as your standard ammunition.